Alligators hibernate in the colder months, but our experienced captains know where to look for them. During the winter, you have more than a 50% chance of seeing a gator. In the warmer months, you WILL see a gator!!! Every Airboat Tour is unique and we never know what will be around the next corner. 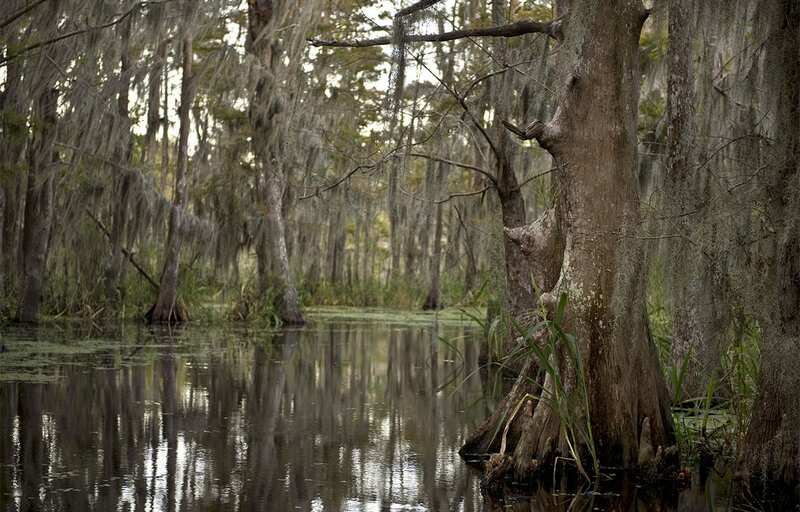 The area toured is a combination of Swamp, Marsh and Lake. The Swamp is such a diverse ecosystem that you may see anything such as a Bald Eagle, a Pelican, an Osprey, or even an Owl. 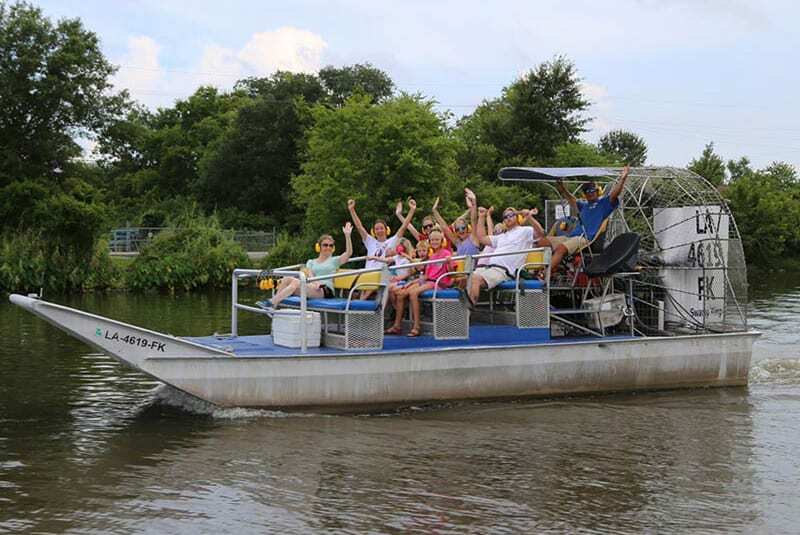 Airboat tours are an exhilarating adventure that consists of part tour and part airboat ride. 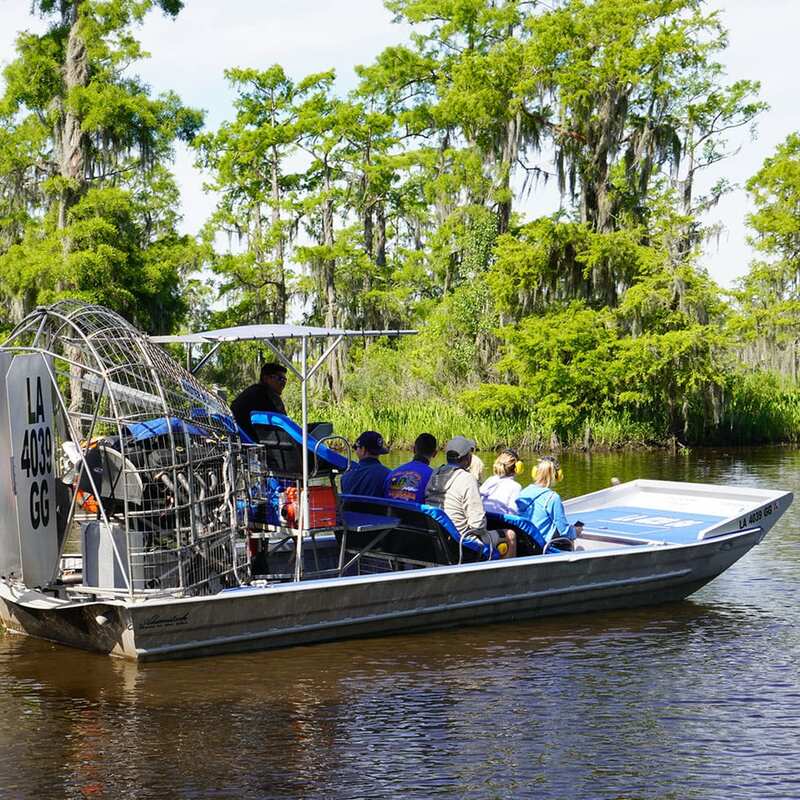 You will experience the best of both: an educational swamp tour and a high speed airboat ride. It is a unique experience! The airboats are driven by a 454 Chevy Engine that will produce speeds of up to 35 miles an hour. These boats are propelled by a huge fan that will blow air from the back of the boat in excess of 200 miles an hour. These tours are truly a blast! Airboats ride in inches of water and go where traditional boats cannot go! 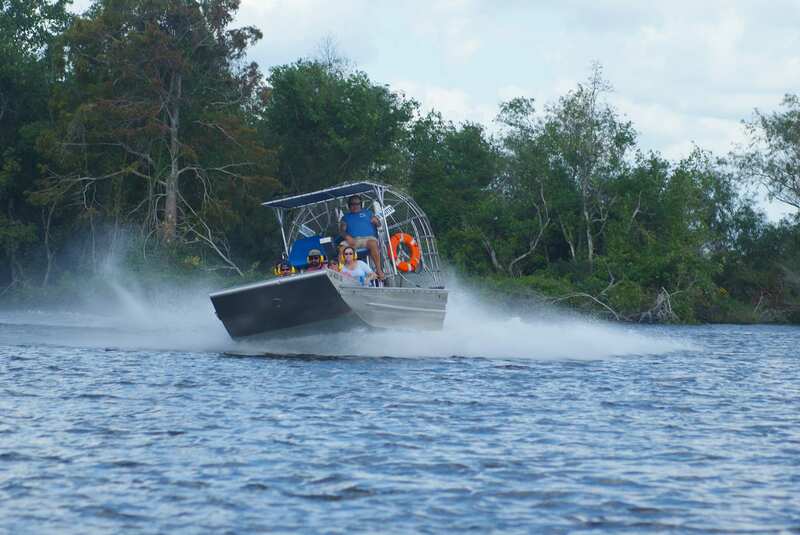 The boats were designed to take you to inaccessible areas of the swamp, which you cannot reach by foot or car. You will travel at high speeds on the airboat tour, but also slow down and stop for pictures. Along the way, you will get a personal tour by your local Captain. Our airboats have stadium style seating, so that the person in front of you does not obstruct your view. 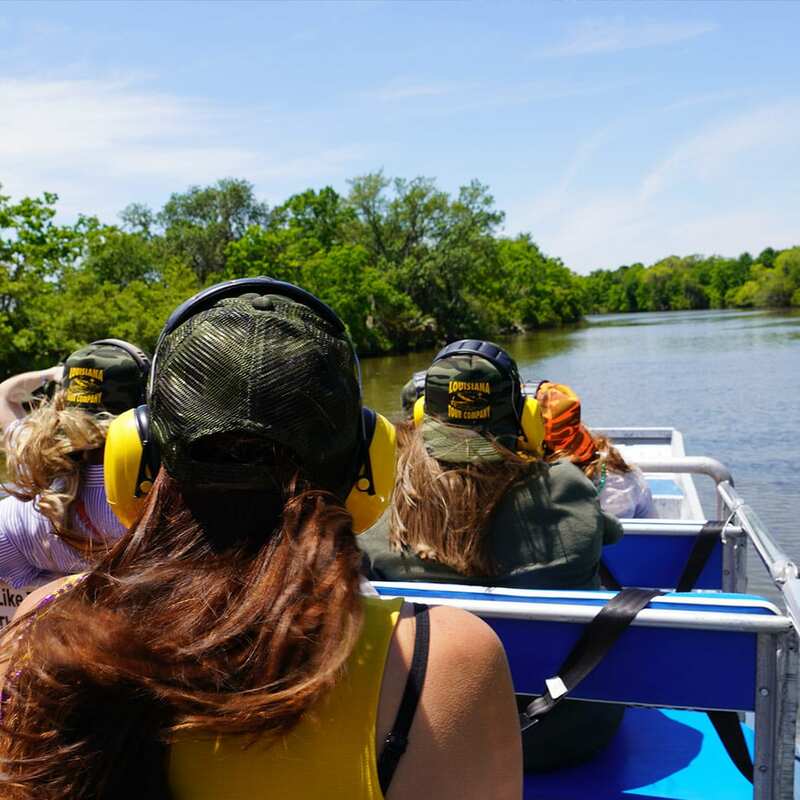 Every airboat seat is great for experiencing the tour and viewing the wildlife. Gators will get close……. real close!!! So close that you will be able to look into those reptilian eyes.